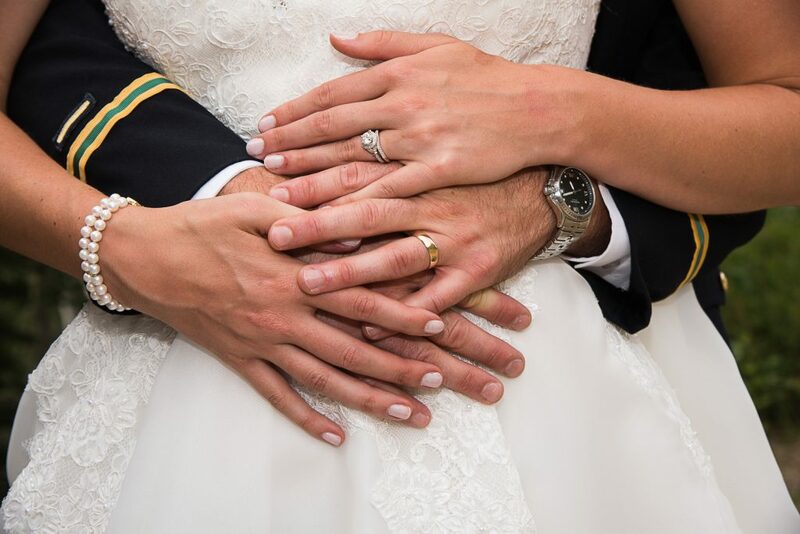 This wedding portrait is one of my favorites! 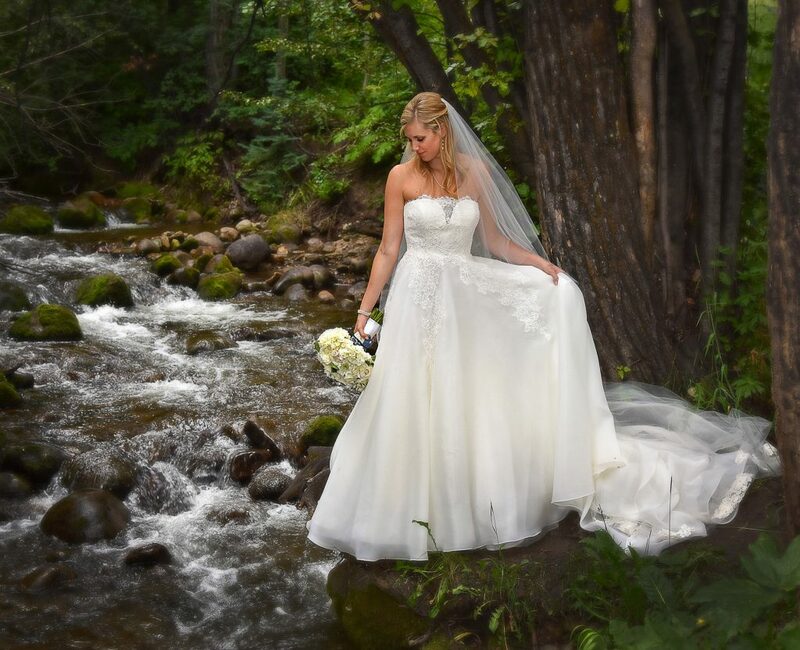 Maggie made such a beautiful bride and the Vail, Colorado creek setting topped it off! Don’t worry; My assistant made sure she didn’t fall in the water! Toast to the bride & groom! 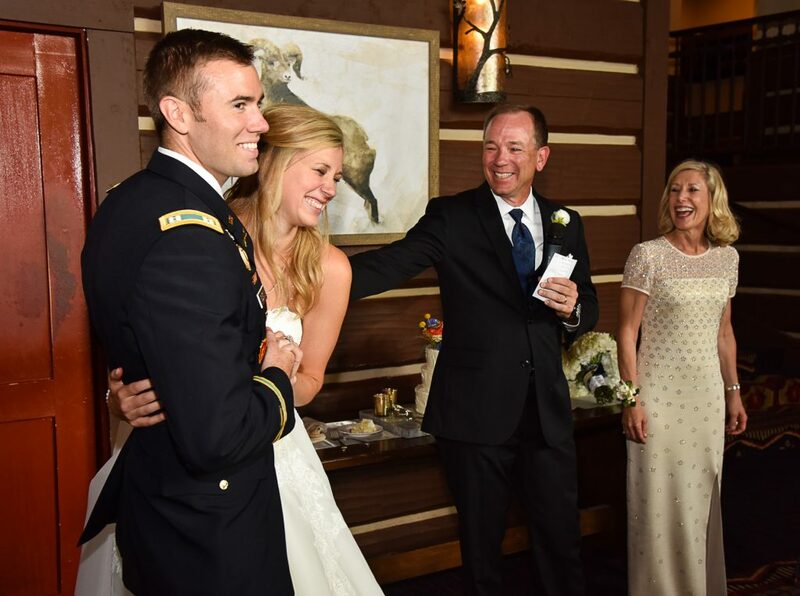 The groom, Nick, is a recent West Point Graduate, and the reception was held at Allies Cabin in Beaver Creek, Colorado. 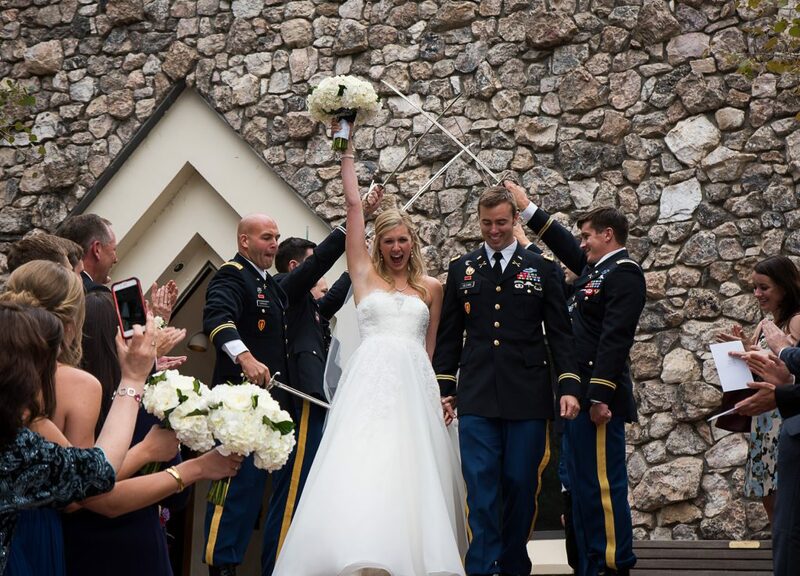 The wedding was held at the Beaver Creek Chapel in a beautiful venue at the base of the ski mountain. And from the looks of it, everyone was having a blast! 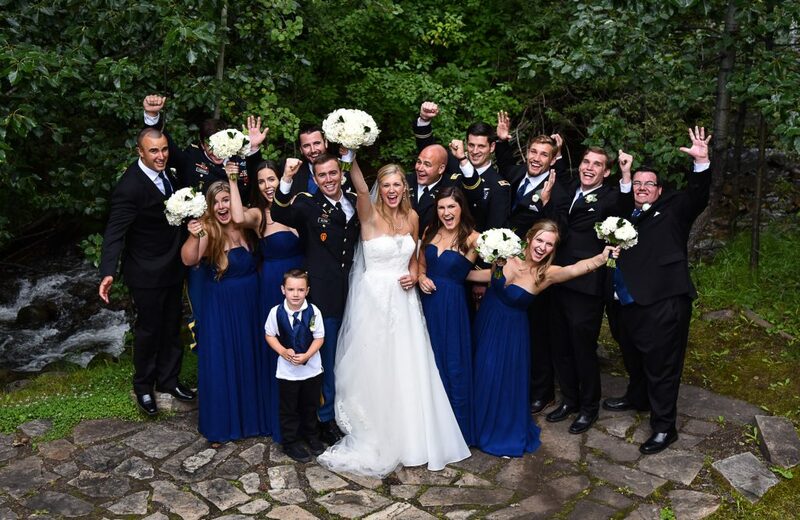 This captures exactly what the wedding was all about: LOVE! 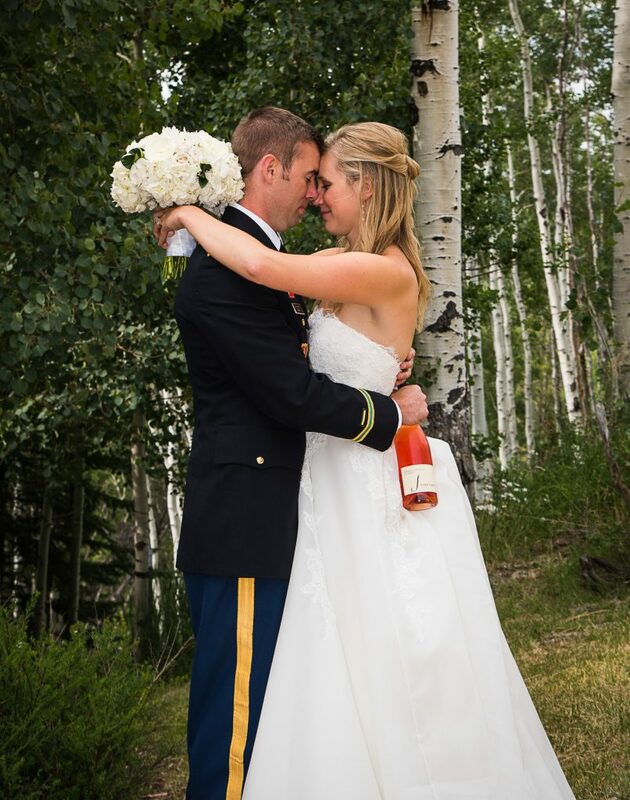 There’s no better weather than July in the Rocky Mountains for a wedding. Another successful wedding photography event!